When you travel, you encounter new words that open doors to new worlds. But you also re-examine words you thought you knew, which suddenly acquire completely new meanings. Quetzal, the first of the following two short essays, belongs to the first type; Kiwi belongs to the second. The quetzal is one of the most impressive and beautiful birds in the world. The sacred bird of the Maya, it was painted with striking colors on murals in palaces and temples, drawn on hundreds of artifacts, and carved on stone stelae around the ancient Mayan world. Most importantly, the dazzling, long tail-feathers of the male quetzal adorned the headdresses of Mayan nobles and kings for over two millennia. Yet the bird itself is nowhere to be seen, neither in the zoos (it is a free bird that cannot survive in captivity) nor in the wild (the few surviving birds are shy and fly away from the gaze of inquisitive ecotourists). I have tried desperately to see it. I went to the forest, the zoos, the parks – no quetzal. Only the modern degraded echoes of its name have remained. It has almost disappeared, like the great civilization of the people who adored it. “Thirty-five quetzales – your change,” the taxi driver mumbles. As I step out of the taxi and head toward the town square, I hear nothing but rustling leaves. My mind’s eye flies to the top of the ceiba, the sacred Mayan tree. There, amid the clouds, on the thirteenth and uppermost level of Heaven, I see them in a flash of color: 13,000 quetzals sit on the ceiba’s strong branches, surrounded by the souls of all the great kings who once lived in the forest and heard the song of the sacred bird each morning, admired its perfect plumage as they walked about their glorious cities, and wore its divine feathers during their self-cutting ceremonies when they offered their blood to the gods so that they in turn would look after the celestial sphere, the Maya, the crops, the forest, and above all, the resplendent quetzal. Kiwi is a fruit. It is also a cute nocturnal flightless bird. Kiwi is also another name for a New Zealander – who is a person. 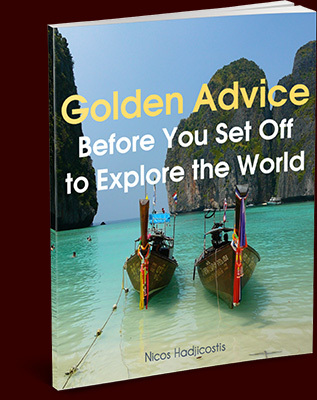 Most importantly, kiwi is also used as an adjective: it refers to all things of New Zealandic origin – kiwi breakfast, kiwi adventure, kiwi way of life. We have an incredible range of meanings that in a sense “evolve” from the plant to abstract human thought: Kiwi is a plant, an animal, a human being, and a grammatical catalyst transforming everything it attaches itself to into New Zealandic. This last usage of kiwi as an adjective may actually correspond to the highest human faculty that separates animal from Man. For Man ceases to be an animal the moment he begins to live in his thought, the moment he conceives of the first abstractions. Out of these thoughts sprout ideas that materialize into human-made objects, structures, civilizations. The human mind throws into the universe forms of a completely new nature, of a different order of Being. 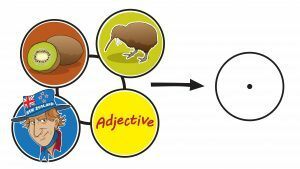 Kiwi-the-adjective is actually a symbol of man’s highest rational and abstract functions centered in language, which in turn is situated in consciousness itself. There is, therefore, a sense in which this funny-sounding, playful, and strange word may be said to enclose within it the whole of Evolution from the plant up to the appearance of human consciousness. So we have a set of four – the expression of a typical totality, where the three pertain to the same substance/quality (here: living beings), and the fourth to a different category (an abstraction of thought, an adjective). At this point, we have unwittingly arrived at the final gift enclosed within kiwi. The four meanings of kiwi may in themselves be thought of as pointing to, or rather constituting, another fifth meaning: through its inherent multiplicity, kiwi ends up being more than these four things and becomes a symbol of totality. It may thus be said to point beyond itself, in the same way that the four classical elements (earth, water, air, fire) have traditionally related to a fifth element (the invisible ether) that inhabited another sphere of reality. How are we then to relate this final fifth meaning of kiwi to the other four? Kiwi, functioning as something other than its four meanings, going beyond itself and pointing to a complex totality, becomes the expression of the ultimate leap of mental man who conceives of something lying beyond his rational mind. We may say that the kiwi-as-symbol-of-totality points to what is beyond the visible, in the same way as human consciousness comes to conceive of something beyond itself – call it super-consciousness or supermind. So kiwi takes us all the way from plant to supermind. It never ceases to amaze me how, from meditating exhaustively on a single inconspicuous little thing, be it a leaf, an ant, or just a funny-sounding word, one may gradually reconstruct, or rather rediscover, the whole universe!